This second novel in my Cannonball Read challenge came highly recommended by my daughter in Grade 10. After reading it for her English class Book Club project and completing her essay before the end of the first term, she slid her copy into my reading pile and I am VERY glad that she did. Brunt’s debut novel features the poignant story of fourteen-year-old June Elbus as she struggles to deal with the death of her uncle Finn from AIDS. Set back in the late 1980s, when the disease was still highly misunderstood and fear was rampant, Tell The Wolves I’m Home weaves a complex web of intrigue, self-discovery, tolerance and the coming of age process. While I found myself struggling to like the protagonist at time, due to her jealous nature and the fact that I am an extreme extrovert, the voice and the writing were nonetheless so powerful that I was swept along by the moving story until its touching conclusion. Amid the chaos of the return to school and starting a new 12 week job as a supply teacher, I found myself with more reading time than usual, but less time to write my reviews. It wasn’t until this last blizzard brought our city to a standstill that I found the chance to catch up. 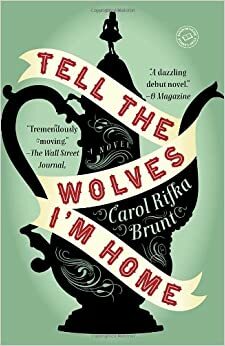 If you are looking for a wonderful story that will touch your heart, paint vivid pictures in your mind and make you think, then my daughter, her English teacher and I highly recommend Tell The Wolves I’m Home! Every year, during the school break and holidays, I indulge in one good Christmas themed romance novel for sheer entertainment. 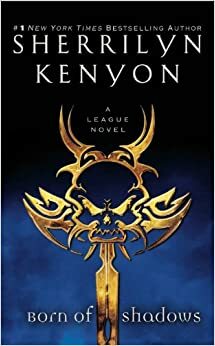 This year, after finishing my B.Ed degree and the 15 week teaching internship that went along with completing the last stages, I finally had time again to read MORE books for the sheer pleasure of it and decided to sign up for a CannonBall challenge again. Our First Christmas is actually a 435 page anthology of 4 holiday romance novels, only one of whom had been previously published as a Silhouette novel. Every story in the book not only tied into the holiday theme, it also contained flashbacks to a prior “First” Christmas that each couple had shared. Having taught Grade 9 English Language Arts and Literary Theory as part of my Internship, I found the use of Analepsis most entertaining! While each story had its own charm, from the almost murder mystery feel of “A Ranger for Christmas” by Mary Burton to the meaningful look back at what truly makes a good marriage in “Under the Mistletoe” by headline author Lisa Jackson, I have to admit that one story stood out from the rest. “Christmas in Montana” by Cathy Lamb was a very original story of a young woman who returns to her home state after a dozen years of running away from issues and the man who truly held her heart. Lamb uses a healthy dose of humour to keep the reader entertained through the tangled dynamics of modern life, stepmothers, multiple half siblings, Internet businesses, aging and the feminism debate. Instead of revealing all of the details from the heroine’s past, they appear like bread crumbs to be followed along the story’s trail, leading to a wonderful and touching conclusion. Now that the decorations are down, the house is set to rights for the New Year and the routine begins again this week, it was time to savour the last story and write up my first review of this challenge. Chesapeake Blue, by Nora Roberts own admission on the dedication page, was written several years after the original Quinn brothers trilogy because of all the readers who kept asking her when she was going to tell SETH’s story. This amazing 4th novel in the Quinn trilogy… which became known as the Chesapeake Bay Saga instead, finally wraps up the tale of three older brothers, bonded by love instead of blood, who raised a young boy to manhood after the death of their adoptive parents. Chesapeake Blue is a wonderfully written and heartwarming return to a familiar place and beloved characters. Seth Quinn has now grown into a talented and world-famous artist, yet he is harbouring a dark secret from his family… one that has kept him from returning home for years. Sick at heart, cynical and soul-weary, he returns to the one place he can call home after living in Europe to try to face the past that has haunted him all his life… Will he be able to tell the people he loves most the truth about what his birth mother has continued to do to him? Can such a scared and scarred young man find love in the arms of a wealthy young woman he is longing to paint? Encouraged by fans to tell this tale at last, Nora Roberts weaves an amazing tale of redemption and love. As an artist myself, I loved the descriptions of Seth getting lost in the act of painting. I am sure that Nora Roberts has had that happen to her with writing as well, because it captures that feeling so well. This story does a fabulous job of tying up the loose ends that you didn’t even know were left over from the original trilogy, but maintains the same edgy look at the seedier side of life and how love, along with the truth, can finally heal the most wounded of hearts. Inner Harbor is the third novel in Nora Roberts’ sweeping the Chesapeak Bay Saga and the original end to the story. It chronicles the love story between the last of these 3 strong men, who honoured the legacy of love shown to them by the couple who adopted them, Raymond and Stella Quinn, by taking care of Seth, the youngest boy Ray Quinn took in to save. Phillip Quinn left the harsh realities of his life behind in his teens, but this novel shows that old scars can still run deep beneath the surface and that trust can be difficult for someone who has been badly hurt before. Now he has given up his comfortable life in Baltimore to commute back and forth to Maryland’s Eastern Shore and the home in which he grew up. Phillip and his two brothers are trying to raise Seth and get their fledgling boat-building business off the ground. The insurance company is trying to claim that Raymond Quinn committed suicide by driving his car into a telephone pole and Seth’s biological mother is threatening to take Seth back unless the Quinn brothers pay her more money than their father did. Into the fray of this trilogy story line comes the heroine, Dr. Sybill Griffin. Sybill not only happens to be a renowned urban anthropologist and psychologist, she is also Seth’s aunt and may hold the key to keeping Seth safe. The only problem is that for all her perfect appearance and upbringing, she is hiding scars of her own that cause her to withdraw to the role of observer. Will Philip hate her once he discovers who she truly is? Will she find the courage to get involved? Will she finally see her sister, Gloria, for the manipulator everyone else knows her to be? 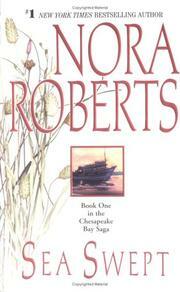 Inner Harbor is the perfect example of how strong a writer Nora Roberts can be. She handles some of the most troubling scenes with a wry sense of humour that can soften life’s harsher realities for the reader and portray truly strong characters who refuse to give up against incredible odds. Perhaps this is why so many of her books take up space on my shelves. When the news of the world seems to get too somber, I can pull out one of her incredible stories and remind myself that hope and love go a long way to lighting up the darkest night. Rising Tides is the second novel in Nora Roberts stories about the Quinn brothers. It was originally written as a trilogy about 3 strong men, adopted by a remarkable couple from their troubled pasts, who carry on the legacy of love by trying to look after 10 year old Seth after Ray Quinn is killed in a car accident. There is a mystery to be unraveled as the Quinn brothers begin a boat-building business together and a loving environment in which Seth can leave his own haunted life behind, just as they did before him thanks to Stella and Ray Quinn. Ethan is the steady, dependable Quinn brother. He stayed in the area, never moving away as his brothers did when they grew older. Solidly built, he harbours a scared little boy inside, one who feels unworthy to admit the love he has been carrying around in his heart since his teens because of his tainted and damaged past. Now as Ethan faces the growing responsibility for this new brother, one who has known his own share of sorrows and darkness, will both Quinn brothers find a measure of healing and acceptance? Rising Tides reminded me of what great character writing Nora Roberts is capable of, especially when dealing with difficult subject matter amid the love story. This is a sensual, honest look at how innocence can be redeemed and how love can go a long way to healing the deepest wounds within us all. The thing about diving into any Nora Roberts book is that you know you’ll be entertained by wonderful love stories, memorable characters and moments that make you laugh out loud or tear up. Her novels take up a large shelf in my library, carefully sorted into the sets and trilogies that have made her so renowned the world over. Sea Swept begins the saga of the Quinn family and is the first book in one of my favourite groups of books she’s written, barring the Born In Fire, Ice and Shame series or the Jewels of the Sun, Tears of the Moon, Heart of the Sea stories. Sea Swept introduces us to Cameron, Ethan and Phillip Quinn, three boys raised to men by a very patient couple who not only gave them their family name, but also rescued them from the ruins of their different pasts. The series begins with the death of Ray Quinn and the unraveling mystery of why he had added another “Lost Boy” to the family when his other three were grown and his wife had succumbed to cancer. Social worker, Anna Spinelli, is sent to investigate the case of Seth DeLauter to see if he should be placed in foster care but finds the Quinn brothers as a united front, determined to honour what their parents had done for them by working and living together to help raise their “brother”. This series pulls no punches when it comes to describing the worst parts of the Social Services network that tries against impossible odds to deal with the darkest part of our world. It also provides a wonderful and poignant love story as well as the beginnings of a mystery that leaves readers hungry for the next book. What I love most about a Nora Roberts novel is that I can escape into an enjoyable adventure that won’t leave my head hurting or my soul feeling too sore. It is like a warm bath or a favourite pair of cozy pajamas… perfect to slip into as the season grows colder and the days grow darker. I’d forgotten just how much I loved this book until I reread the first few chapters. That is one of the most wonderful thing about having so many books around the house, just waiting to be read… no matter how few or how many times.